TTT ebbs and flows with the climate of Haiti. Over the past eight years, we have postponed and canceled some seminars due to political unrest and natural disasters. Seminar 2 was scheduled for February 25-March 8 in two locations. In the weeks leading up to the seminar, there were violent anti-government protests, essentially shutting down normal activity across the entire country. Demonstrators called for President Jovenel Moise to resign, blaming him for misused funds, fuel shortages, and weak currency. Transportation, schools, businesses and government offices were closed because the protesters destroyed gas stations, burned grocery stores, and vandalized many store fronts. 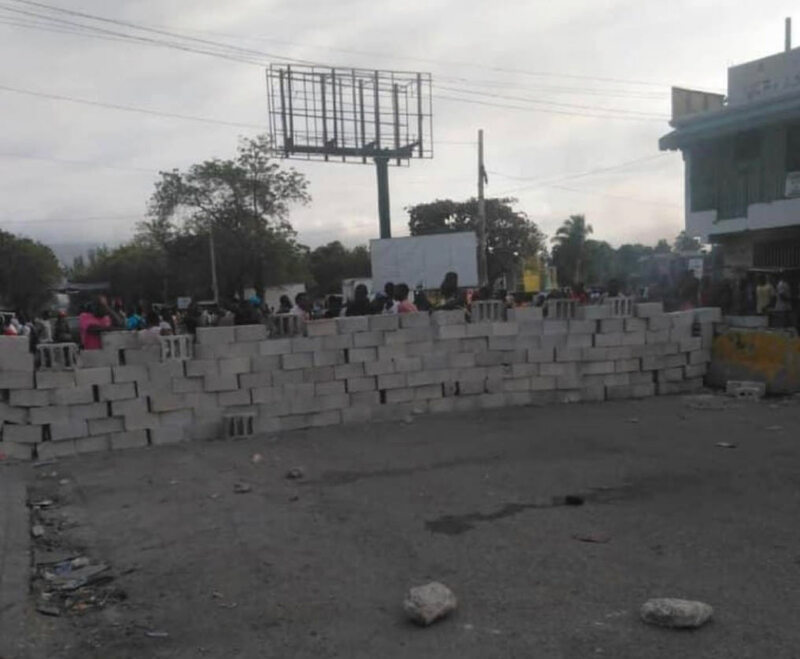 Most Haitians, including our staff, were confined to their homes, had limited to no access to electricity, and began to run out of food, water and other essential supplies, not knowing that this protest would be so dangerous and last for multiple days. Because of the protests, our American staff was unable to attend the seminar due to the US Embassy’s travel ban. However, our Haitian staff continued to prepare. Please don’t breeze by the word “prepare.” They left their homes to work at the office and many hours were spent on the phone to train facilitators. Their voluntary dedication required an unexplainable creativity to continue seminar preparation and facilitator training during those tense weeks. Meanwhile, the President refused to step down. And, you think of TTT. You think of the school leaders and teachers. You think of the upcoming seminar. You try to get to the office to work. There is a planned rest for the protestors. You call the school leaders to see if they will still bring their teachers. You decide to move forward with the seminar. Everyone will come. This is our Haitian staff. They are the definition of resiliency and excellence. My American viewpoint tries to wrap its head around their Haitian viewpoint. One photo stuck with me from those two weeks. It makes me think… When I see a wall, I tend to see a wall. When our Haitian staff sees a wall, they find a ladder. Beth is the President of Teaching Training Together, an organization based in Burlington, Massachusetts, that provides professional development seminars to underserved teachers and school leaders in developing nations.